It’s Marker Geek Monday again over on the Stamping Bella blog. 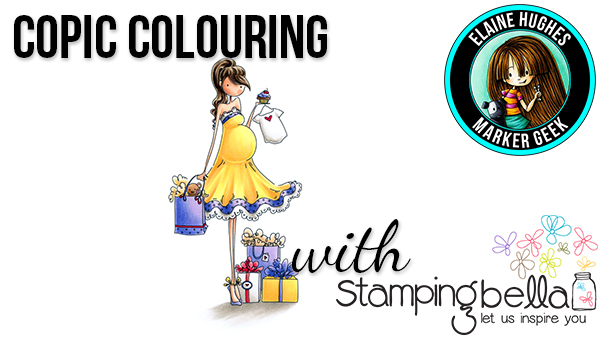 This week I’m sharing another Copic colouring video featuring one of the lovely Uptown Girl stamps. Read on to see my card and video! I love colouring Brynn, she’s just so pretty and that dress is really fun to colour! Watch the video below or in HD over on my Marker Geek YouTube Channel. Full Copic Marker colour info can be found in the video! This entry was posted in Cards, Colouring, Tutorials & Videos and tagged Stamping Bella on June 12, 2017 by Elaine.